Home > News > Wow, Long break! 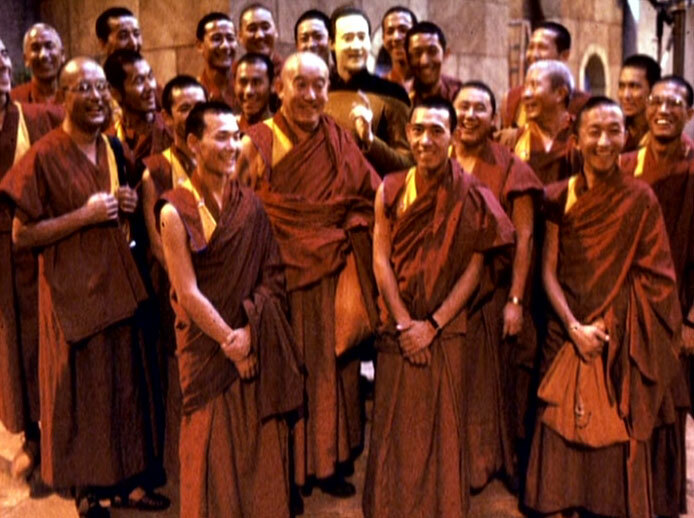 To distract you from the long overdue update, here is a picture of Brent Spiner in full Data makeup and costume with the Dalai Lama and his entourage when they visited the set of Star Trek: TNG. Hiya folks, Glych here! So, I admit we took a HUGE break on Life of Glych with no explanation. The gentleman who was updating the site had some computer trouble, the files were buried under a ton of other work, and I haven’t really been able to focus on the comic until now. I have retroactively updated Week 5 of the comic through March of this year. I have about 4 more weeks of comics drawn before I’ll have to start drawing new ones but that’s okay. I look forward to the challenge.